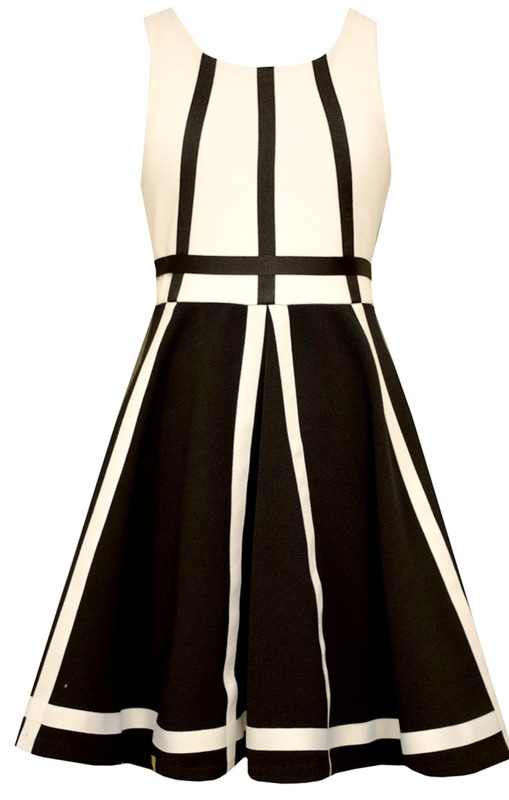 Gorgeous sleeveless stretch black and white contrast banding dress is striking and fabulous. Sleeveless dress in poly stretch jersey features closure at back neck. See insert photo for back design! Machine washable.